Retired 7th U.S. Circuit Court of Appeals Judge Richard Posner. 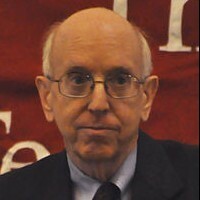 Retired Judge Richard Posner of the Chicago-based 7th U.S. Circuit Court of Appeals apparently ruffled colleagues’ feathers and raised ethics questions when he released internal materials in a new book on the treatment of pro se litigators. Posner wrote in the preface that his conflict with 7th Circuit judges is over and “let there be no hard feelings,” Law360 (sub. req.) reports. But hard feelings apparently remain; Posner tells Law360 he was disinvited to a 7th Circuit dinner to follow a meeting next Tuesday on the staff attorney program. The staff attorneys evaluate appeals by pro se litigants and make recommendations in their cases. Posner has said he wanted to give pro se litigants a better shake by reviewing the staff attorney memos before they were circulated to judges. He resigned after being rebuffed. Posner included bench memoranda, draft opinions and internal emails in the book, called Reforming the Federal Judiciary: My Former Court Needs to Overhaul Its Staff Attorney Program and Begin Televising Its Oral Arguments. Chief Judge Diane Wood received an advance copy of the book and contacted a Judicial Conference’s conduct committee about the ethics of the releasing internal communications, according to the Law360 report. The committee believed release of confidential internal materials would be an ethics violation, Wood told judges in an email that Posner also published. Posner “has self-published everything—memos and drafts by staff counsel peppered with his acid edits, emails between the judges, the whole trainwreck,” the blog says. He also revealed the initial panel vote in an undecided appeal that he identifies by name. Posner told Law360 he included emails written by Wood because they couldn’t be separated from his ideas on how to improve the staff attorney program. He said he didn’t think he committed an ethics violation, and he was told by the judge overseeing the Judicial Conference committee that its opinions were advisory rather than mandatory. Wood didn’t comment when Law360 asked her about the number of internal materials in the book, but emphasized that Posner had released his own selections. She defended the staff attorney program and also said the 7th Circuit is planning to begin televising some of its oral arguments. Wood and Posner didn’t immediately respond to the ABA Journal’s requests for comment.